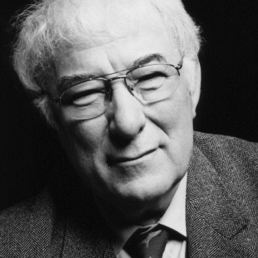 As you may know, this week we lost one of the greatest wordsmiths of our time, Seamus Heaney. We decided that this week the only poet we should really go with for our Weekend poetry reading would be him. There’s something about Heaney’s poetry which can speak to so many people of many different creeds, nations or backgrounds. Coming from Ireland, that land divided and torn apart on so many occasions by the Troubles (which Heaney lived through, and wrote about), Heaney saw the best, and the worst of humanity. His poetry often harked back to his own rural childhood (he was the son of a farmer as well as an intellectual), the religious influences upon himself, his family and surroundings, and so much more. He could be said to be the greatest Irish poet since Yeats, and to us personally he is one of the greatest ever. We’ve selected a documentary on Heaney for you below from Youtube, and invite you to take an hour out of your day to discover a bit more about Seamus Heaney.